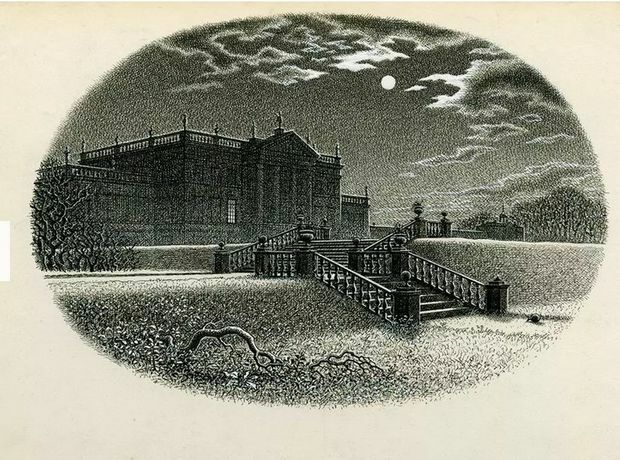 The novel takes place within the confines of a neglected country house and its grounds. The decay is moral as well as physical, as hints of murder, immorality and the occult hover around the spectral Silas. A fascinating array of influences formed Stewart’s personal vision of Silas, Maud and the house Bartram-Haugh; influences we can identify from his archive, held in the RA Collection. Film stills and theatre designs, proofs and publishing materials from the abortive Bodley Head edition of Uncle Silas(1948) are displayed alongside the decorative binding designs made for the edition finally realised by the Folio Society in 1988.